It usually starts around midday. Everyday for 10 days in March, filmmakers, musicians, tech designers, industry VIPs, music lovers, film fanatics, tech addicts, even food stalls/trucks, photographers, and curious tourists that just happen to be visiting the Texas capital that same week all litter Austin’s downtown area. 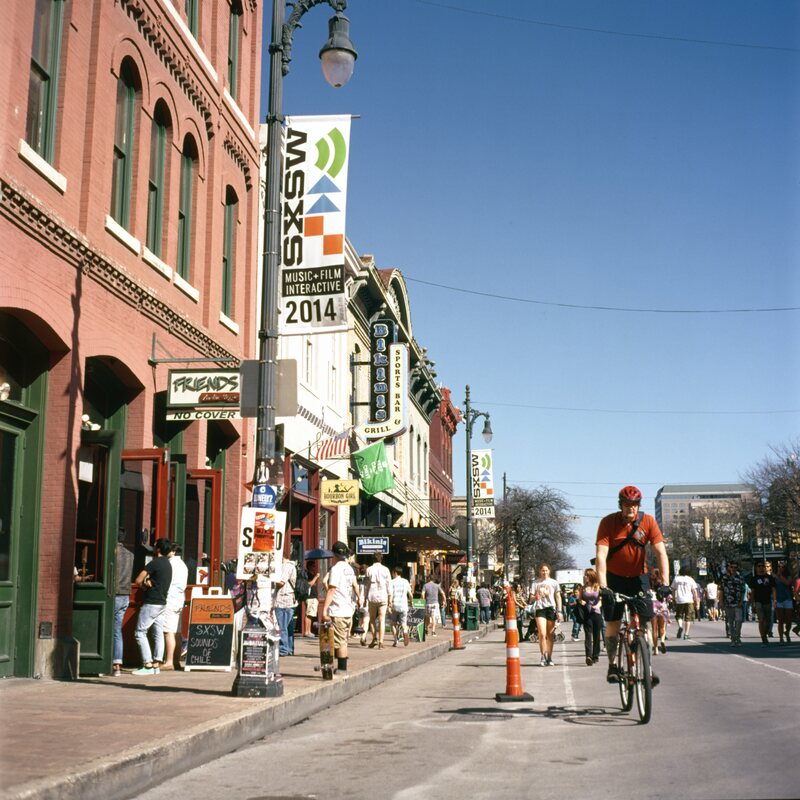 They all gravitate towards the famous 6th Street and the nearby convention center, for what else but the famed South by Southwest (SXSW), one of the biggest festivals in the city. 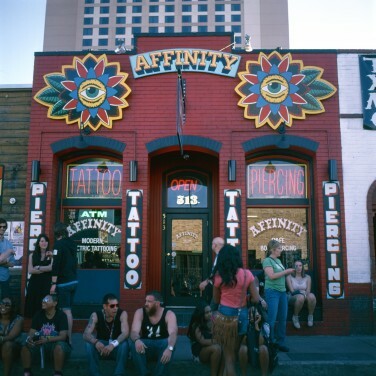 SXSW is a festival like no other, first because it’s actually three festivals – film, interactive, music – in one, and second because it’s a chance for artists and innovators, big or small, to share their ideas and visions as well as showcase their work and new creations to possible investors. To the regular festivalgoer, however, it is simply an amazing way to see hottest and/or newest music acts, watch upcoming films prior to their release, test out the latest video games, and just experience the beautiful madness of it all. 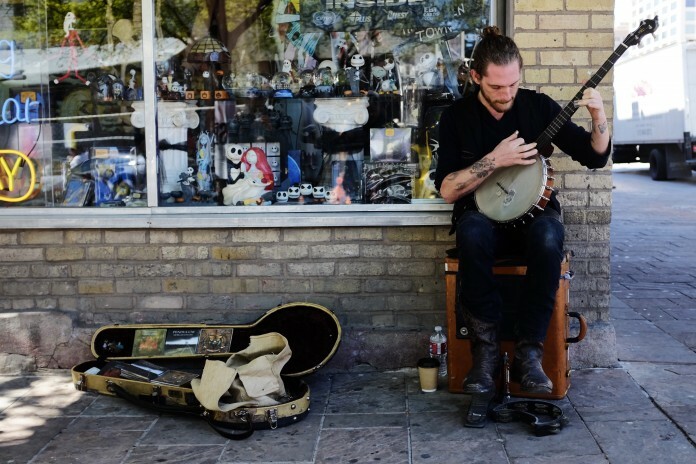 While most SXSW shows are indoors, you’re still going to spend a lot of time outdoors. 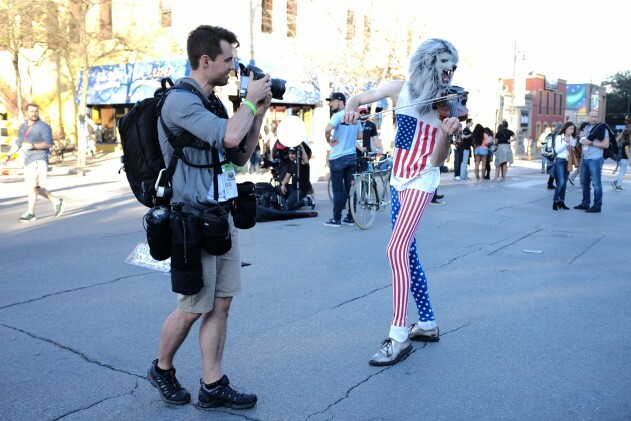 Like in many festivals, you’re going to have to do a lot of walking; but more so during this festival, especially if you’re jumping from one venue to another all day every day for an entire week, which is usually how it goes during SXSW. Understand that at times, you might have to walk from one venue on one side of town to another 10 blocks away on a warm day. Wear cool comfortable flats, put on plenty of sunscreen, don on a stylish hat, and don’t leave your sunglasses at home. Do remember to hydrate, a lot, and I don’t mean with beer or coffee. Know this: SXSW is technically separated into two different parts – the official and the non-official. Many, if not most, of the official SXSW events – conferences, talks, trade shows, big act performances – require an official SXSW badge to access. These badges are not cheap – they can set you back at least $500 and that’s just for the Film Badge. The all-access Platinum Badge will cost you around $1300 if you register early. If you have that kind of cash stashed somewhere, then by all means splurge! But these badges are really more for the people in the film, music, and tech industry who go to SXSW for business. If you’re just there to have fun and see a few shows, you definitely won’t need a badge. 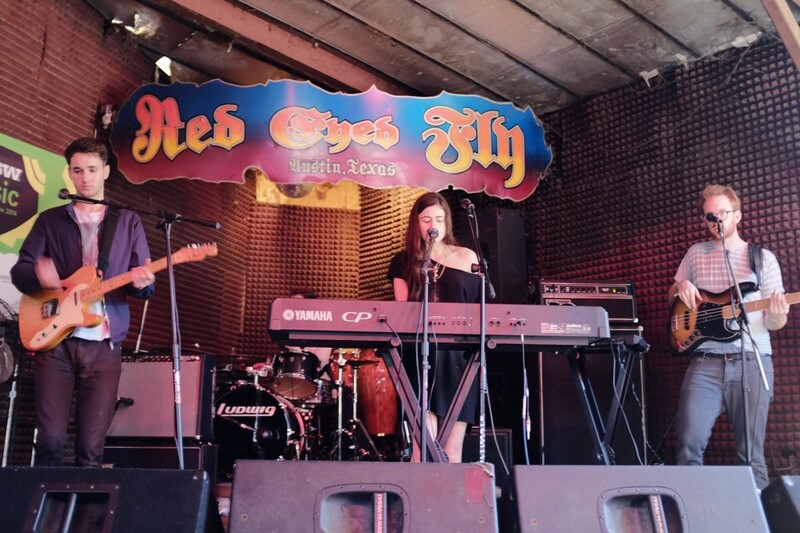 All over town are hundreds of venues – from bars to tents to houses – that host unofficial SXSW shows and events. Many of them don’t even have a cover charge, but bring plenty of cash just in case (those that do require a $5 – $20 a person cover). This is how many people do SXSW! SXSW has hundreds of events, both official and non-official, all over town. There’s so much to see and do and it’s so easy to overbook yourself. When you’re listing all the shows you’re planning on attending for the day, however, you should consider a few things. First of all, consider the lines. Some shows will have long lines. If you’re going to see a big act or a talked-about movie, get to the venue early. You’ll increase your chances of getting in and you won’t go home disappointed. Second, consider the distance and time. SXSW is not concentrated in just one place. 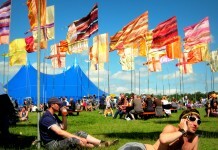 There are events all over the downtown area, and sometimes on the outskirts. If you’re attending a show on 6th Street, make sure you have enough time to travel from there to a show at the southern end Red River St. Downtown. Third, remember to RSVP. While most shows do not require RSVPs, some of them do. Go to EventBrite.com or download the Applauze app on your phone to RSVP to such shows. You’re probably going to be doing a lot of eating out during the festival and while eating out everyday is expensive enough, the food places and trucks hike up their prices as well. You can, however, keep the spending on the down by taking advantage of the free food and drinks many establishments offer during SXSW. 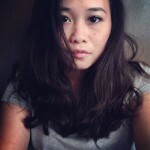 Take advantage of this by visiting SouthbyFreeNoms.com or following them on Twitter. During SXSW, many roads are closed, traffic is horrible, and parking, well, parking is expensive. The parking garages and lots closest to where all the action is can charge anything from $20 – $40 a day! That’s $200- $400 for the entire week! Do yourself a favor and find street parking a few blocks away. It’s only $1.25 an hour and it’s free after a certain time at night. Austin isn’t that big anyway so the walk wouldn’t be bad. 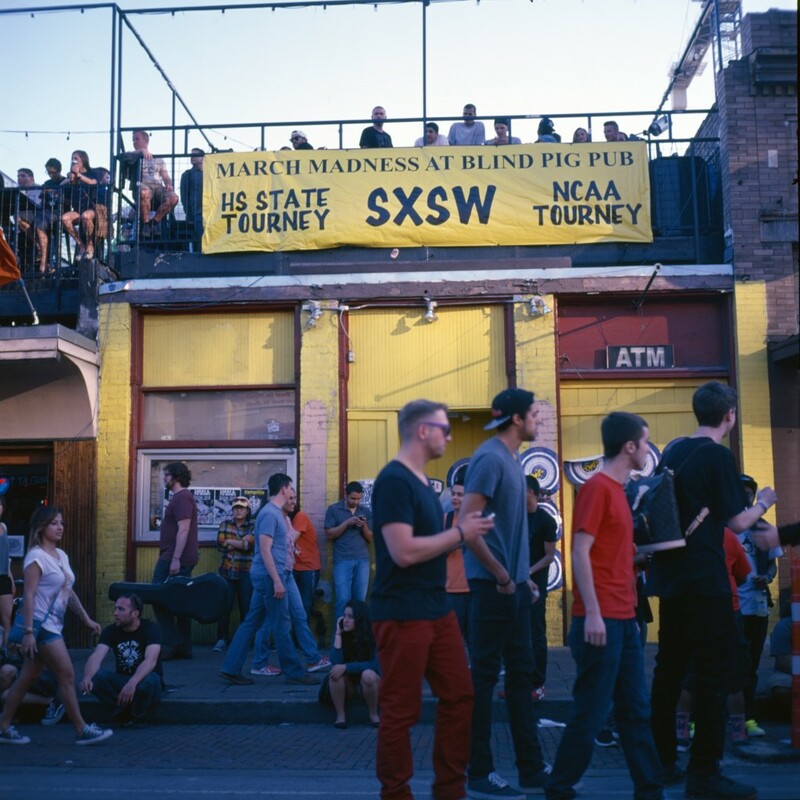 SXSW transforms the city of Austin into a one big culture venue full of sought-after events, all types music, excited spectators, and watering holes overflowing with beer. It’s definitely an event you wouldn’t want to miss. Hopefully, this guide will help you make it an even more enjoyable and unforgettable experience!